And we’re all familiar with how difficult it can be to sleep anywhere besides our own bed. Whether it’s while we’re camping, staying with relatives, or on a plane, humans have a hard time adapting to our surroundings when it comes to sleeping. But what about the animal kingdom? How do some of our favorite creatures stay alert for predators and still manage to get a full snooze wherever they end up for the night? Animals have an incredible way of evolving and adapting to their surroundings, especially when it comes to their sleep habits. The most important outcome of sleeping for animals is to conserve energy and restore their bodies. This does not require R.E.M. sleep for some animals! Animals have all kinds of sleep schedules, but there are three main types. Imagine being able to sleep while standing up on the subway to work. Or even while holding your breath underwater on a long mission to find Atlantis! Did you know that some animals can even shut down half of their brain at a time to sleep? Let’s explore how some of our favorite critters have adapted to their surroundings in order to get their beauty sleep. Every animal varies in how long they sleep and how often they need sleep. We know that our dog and cat family members sleep on average 14+ hours per day, but what about wild animals? Whether they live underwater or have six-foot tall necks, all creatures need comfortable sleep. Fun Fact: smaller animals usually require more sleep than larger animals, due to their brain size! Below are some of the most remarkable animals when it comes to their sleep habits. Dolphins can turn off half of their brain at a time, in order to keep one eye open to stay alert for predators. Sometimes, they go into a deep sleep called “logging,” (1) because they look like logs when they float near the surface of the water! Since they don’t have eyelids, fish sleep with their eyes open! This is why it’s important to turn off your aquarium lights at night so your scaley pals can get some R&R. Giraffes only sleep about 20 minutes per day (2) in order to keep themselves alert for the most time possible. They usually sleep standing up, but sometimes they can be spotted (pun intended) curling up like a cat, with their neck wound into a spiral, which is totally adorable. Sea otters are most famous for being cuddly and adorable. To sleep, they flip onto their backs to float on the water’s surface and even hold hands to make sure they don’t float away from each other. You otter think that makes them even cuter! You probably already know that bats sleep by mysteriously hanging upside down, but did you know that they sleep up to 20 hours a day?! (3) That’s more than your cat sleeps! They hang upside down to make it easier to take off since their wings are weak. How batty is that? These tough little creatures can actually sleep for up to 3 years at a time. They retract into their shell and hibernate. Next time you oversleep and are feeling a bit sluggish, just be glad you didn’t accidentally fall asleep for 3 years straight! As cute and speckled as they are, ladybugs are tough as nails. Along with several other insects, amphibians, reptiles, and even the fat-tailed lemur, ladybugs can go into a summer hibernation called estivation (4). This keeps them protected during harsh summer months of severe heat and drought. A close relative to humans, apes have been known to make their own beds on platforms away from predators. They also curl up to sleep just like we do! This gives them a deeper and more restful sleep than their upright-sleeping baboon cousins. Clearly, these animals have adapted extraordinarily well to their surroundings in order to get their rest. Getting quality rest is just as important to the smallest creature on earth as it is to humans. But… Do all animals sleep? The jury is still out on this one. Scientists have tested responses in bullfrogs and found that they may not ever fall into a sleep-like state. Do animals dream? Insects and fish never enter the R.E.M. stage of sleep, like humans and most other animals. This is when most dreaming occurs, so it’s safe to say that your lovable pets drift off into dreamland. If animals understand the importance of sleep and can adapt to their crazy surroundings to catch some zzz’s, you can too. It’s time to embrace your primal instincts and start getting better quality sleep. Find what works for you! What snoozing animal would you want to be, and why? Share your comments below! (1) National Sleep Foundation. 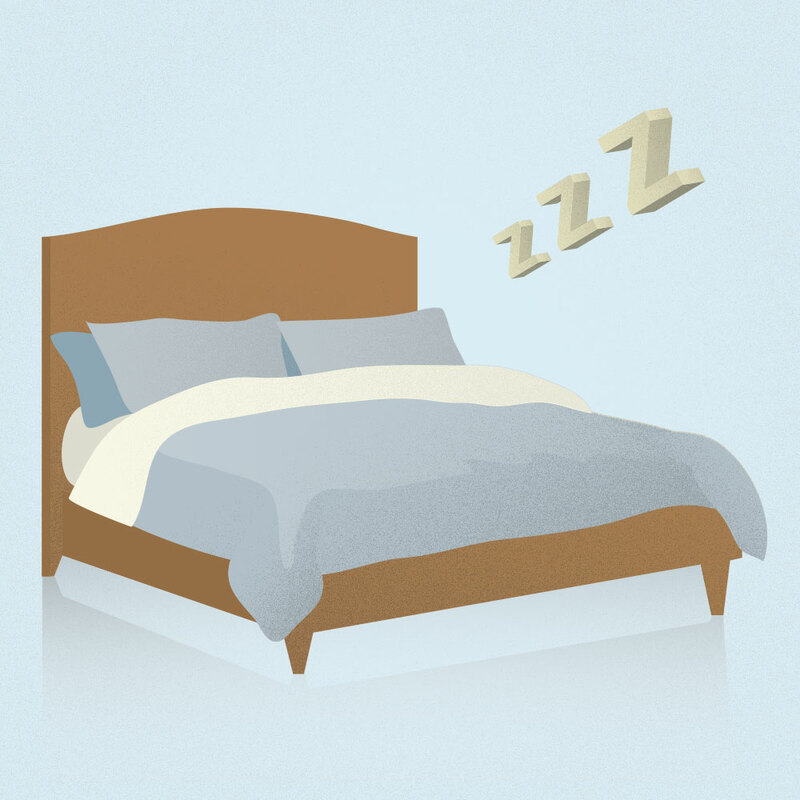 "2013 bedroom poll explores sleep differences among six countries." ScienceDaily, www.sciencedaily.com/releases/2013/09/130903113305.htm. Accessed 11 Nov. 2018. (5) Lal, Amit. Understanding the Language of Silence - Sleep, Sleep Behavior and Sleep Disorders. eBookIt.com, 2014. Well, time to find out!